The New Orleans Pelicans threw down a few hundred dunks during the 2018-19 regular season, but perhaps none was as significant as the one they produced off the court this week. As illustrated by the “SLAM DUNK” headline that blared atop Sunday’s Times-Picayune newspaper sports section, the decision to bring in David Griffin to lead the Pelicans’ front office generated rave reviews from every corner of the basketball world. That was a reoccurring theme in the overwhelmingly positive reaction to New Orleans hiring Griffin, who also received recent praise beyond what he’s accomplished as a member of NBA front offices in Phoenix and Cleveland. 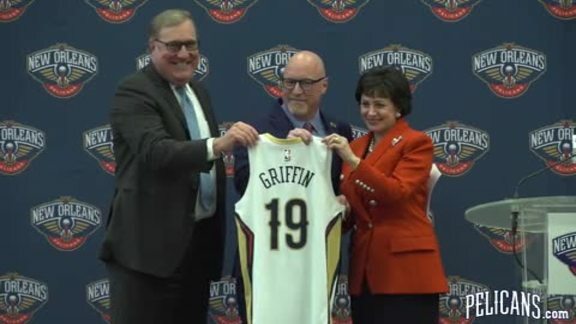 Perhaps best of all, omnipresent ESPN reporter Adrian Wojnarowski pointed out that as excited as New Orleans should be to add Griffin, the longtime NBA executive’s decision also said something very positive about the Pelicans.